If you've been around on my blog (thank you for that ;) ), you may already know I am a huge fan of Penny and Kerry, because I talk about them a lot. Well it's because these ladies just simply rock! They have become such great, sweet friends of mine in the past few years, and I have always been inspired by their impeccable works! 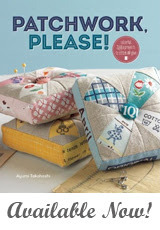 Their new adventure, sew-ichigo kicked off recently, and they just made their first set of paper-piecing patterns, "Kitchen Classics" available for sale! You've got to take a look at them! They are just soooooo adorable! Ever since they told me about these patterns, I had been secretly hoping they'd ask me to test their patterns because I knew they would be wonderful just like everything they create, and I have a weak spot for any kitchen related stuff! You can imagine how excited I was to test this KitchenAid pattern Penny came up with! 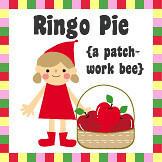 When I first saw her KitchenAid block for Ringo Pie bee, my jaw dropped to the floor! I don't know what it is about KitchenAids, but they are just so lovely! Penny did such an amazing job creating the difficult shape into a doable quilt block pattern! This potholder was made for Jacey of Jaceycraft who is going to get married soon ;) I had always been wanting to send her something. She likes cooking, and I have spied a KitchenAid in her blogpost. I couldn't tell if her KitchenAid was in cobalt blue or black or possibly any other color, but I guessed it was in cobalt blue, so I made the KitchenAid with a fabric in a similar color (navy blue). I love the way she combines blue and orange in her beautiful projects, so I picked orange-ish fabric for the bowl. It made her way yesterday and I was just so happy to hear she likes it, hehe! Let me leave you with some cherry blossoms pictures I took about a few weeks ago. Japanese cherry blossom blooms for only a week each year. Seeing them around really made me feel I am back home. You are just soo talented! Every single one of your creations is drool worthy!! lol! Ayumi!!! Your potholder is so cute! I love the polka dot kitchenaid =D Jacey is very lucky to be the recipient of something so cute!! 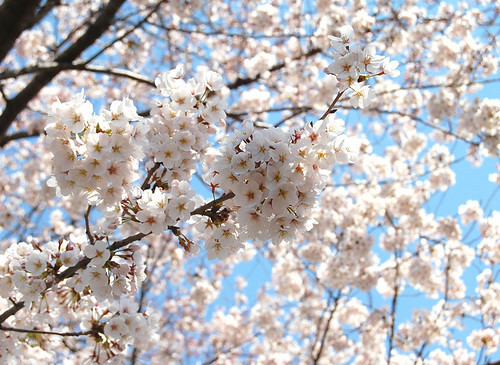 Thank you for sharing the cherry blossom pictures! They are absolutely beautiful! I wish they would have the flowers all the time :) One week just isn't long enough!! Oh I just love that Kitchenaid! The blosso pics are beautiful - how sad that they only bloom for a week. Our cherry blossoms are just blooming now which is a little early but due to a very warm spell we had last month. Gorgeous pot holder and beautiful cherry blossoms Ayumi. The pot holder is so sweet! And oh, the cherry blossoms! 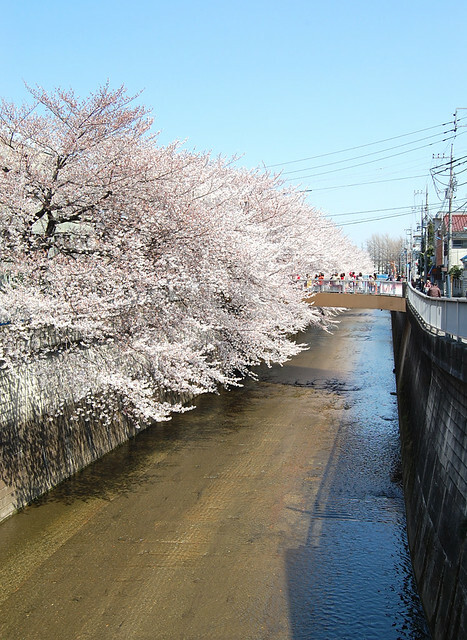 I want to visit Japan someday but I absolutely want to do it during cherry blossom time. My aunt and uncle moved to Kobe last year... I'll have to see if I can make it over one of these days. Thanks for letting me dream! Thank you for sharing the beauty of the cherry blossoms - I love blossom but have never seen anything quite as amazing as this! The cherry blossom pictures are just adorable.Great great.And the potholder is very cute.Wish you a nuce weekend. Ayumi you are one of the most thoughtful people I know! I'm sure Jaycee will treasure her gift for years to come! 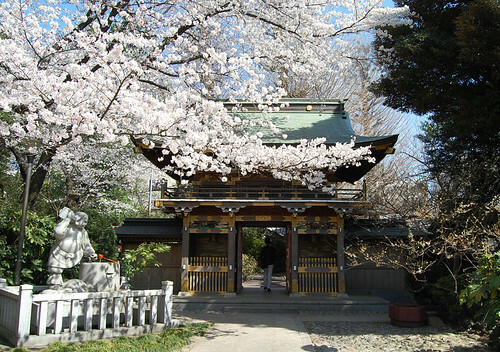 And thank you for sharing photos of Japan's cherry blossoms, a sight I hope to see one day in person! The cherry blossom looks lovely! Love your potholder, and the blossoms are beautiful! I love the potholder! The mixer looks awesome! What could be more beautiful than cherry blossoms?...ah, maybe that Kitchen Aid Mixer pot holder. Nicely done! Oh my gosh! From top to bottom, this post is full of eye candy! I love the potholder! You did a fab job! I need one to sit next to my Kitchen Aid mixer. :) The cherry blossoms are gorgeous! Those blossoms are just beautiful...the the potholder as adorable as can be. The cherry blossoms remind me of Washington, DC. I think the ones in DC came from Japan. Love the kitchen aide potholder. Eep! Sooo pretty! Love the potholder with all your pretty fabrics. And those are my absolute favorite kind of trees. I wish they grew in Texas :-P Thanks for sharing those pics! i just love these kitchen classics patterns, they are just pefection!! and your potholder is completely amazing! :D and thanks so much for leaving those pictures of the cherry blossoms, I have always dreamed of visiting Japan and seeing them one day, so beautiful. Ooooh, love the potholder! So so cute. The trees are gorgeous! Thank you for the pix. the blossom is so pretty and when it drops it's like pink snow! Love the potholder, so charming! But I think I like the cherry blossoms even more-- going to your etsy shop to look for cherry blossom fabric! wowwwww you live in a wonderful country, with adorable people! The trees are beautiful. I love cherry blossom trees. Our flowering fruit trees both ornamental and real are lovely this time of year. Really love Penny and you. Together you are great. Hi Ayumi!! 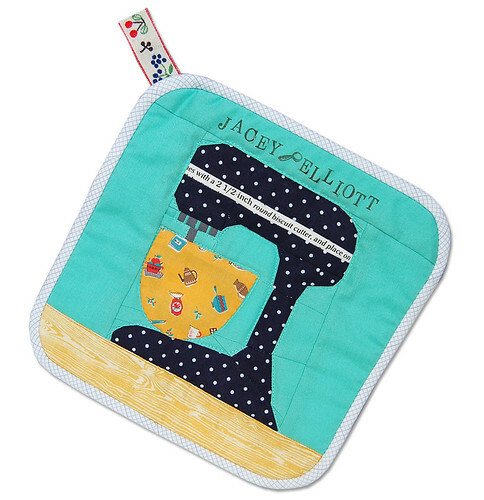 You did a marvelous job on Jacey's potholder, it is so cute and a perfect wedding gift. The blossoms are out here in Vancouver, too. It is just so pretty driving around the city and seeing them everywhere! You already know I adore the potholder you made! Thank you so much, Ayumi! You are so sweet and talented. I will treasure this gift. Thank you, thank you! 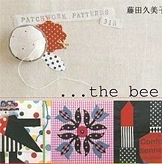 And I purchased the patterns for myself; I hope to give the blocks a shot soon! That pattern and your potholder are fantastic! I meant to make my sister a kitchenaid cover thingoo at one point, but got lazy. 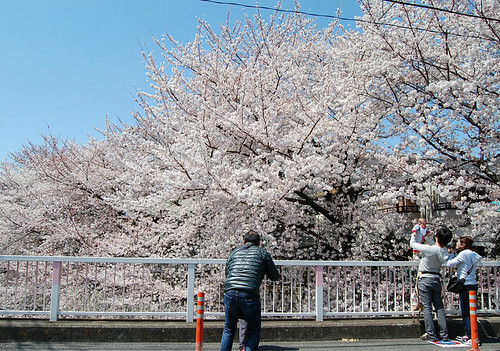 :} I love the pictures you took of the cherry blossoms! Nihon ni ikimashita during cherry blossom and it was just marvellous ! 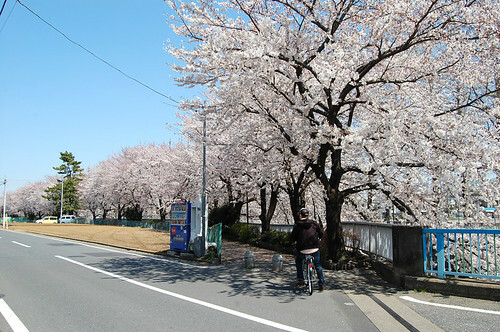 How nice you were in Japan during the cherry blossom week! I visited the precious natural picture! Very nice picture collection you had posted. It’s a most important medium of growing the curious view to nature. Great designing mostly advertising and product information are inside of website. Just stumbled onto your site. LOVE!!! I'm a slightly-better-than-beginner sewer and would love to try a pincushion and work my way up to all your other great patterns. The free pattern doesn't come up when I click on the pincushion picture. These pillows are so cute! :D Great work! You are very creative!